I could seriously bathe in basil pesto. It is so good, I can barely stop myself from eating a family-sized portion, plus garlic bread. 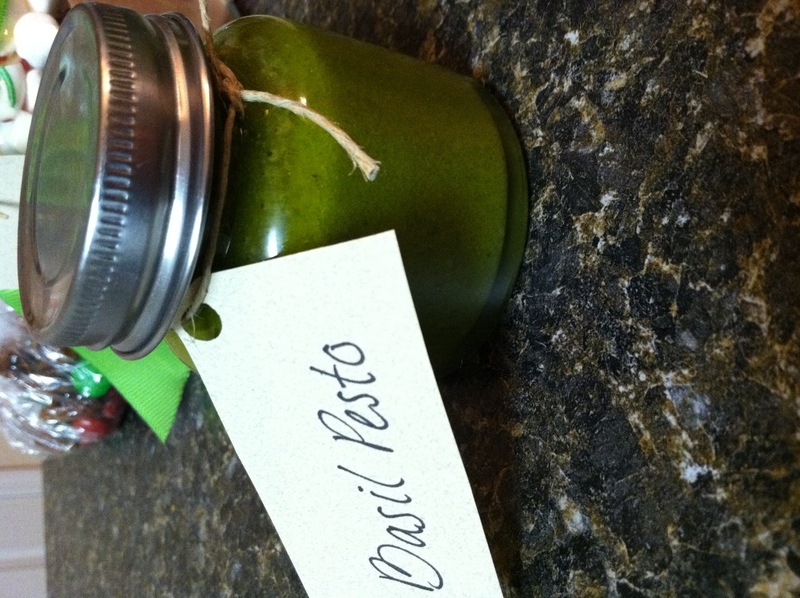 But here’s the problem: basil pesto is mediocre at best unless it’s homemade. I tried pesto for the first time a couple years ago at a restaurant, and subsequently bought a jar at the store. Not good. Bought a different brand. Still not good. ANOTHER brand. Nope. Finally, I tried making it at home, and it turned out phenomenal. I can’t get enough! I even gave it away in little jars as Christmas gifts (pictured below). Not as good as the pesto I had in Rome, but that would just be impossible. Cook pasta according to directions on box. Mix a small amount of olive oil into the pasta after draining to prevent sticking. To make the pesto, you can use a food processor/blender or a traditional mortar and pestle. I’ve used both, and it tastes the same, but if you’re impatient I would go for the food processor. Blend basil, pine nuts and garlic until they are roughly chopped. Then, add olive oil a small portion at a time until mixture gets smooth. Once all of the olive oil has been mixed in, start to add the parmesan cheese in small portions at a time. Once all the parmesan cheese has been added, you’re done! Add the desired amount to your pasta and mix. 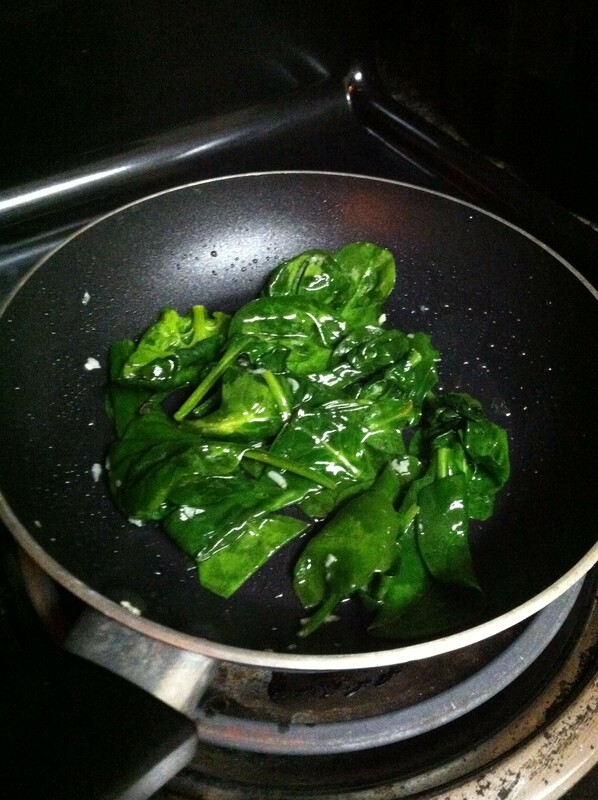 The sauteed Spinach is very easy. 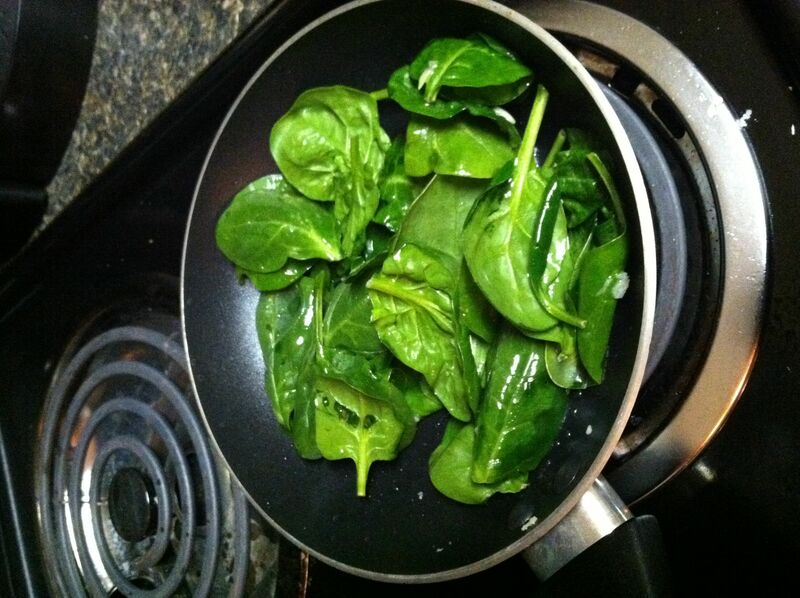 I’ve never sauteed spinach before, but I gave it a whirl since I have this huge tub of spinach leaves in my fridge that I’m trying to use before they go bad. Why can’t they sell the leaves in small portions? It’s ridiculous. Anyway, heat up olive oil in a frying pan on low-medium heat. Add spinach leaves and minced garlic. Sautee/stir until they are soft, but not mushy. They should still be recognizable as individual leaves. 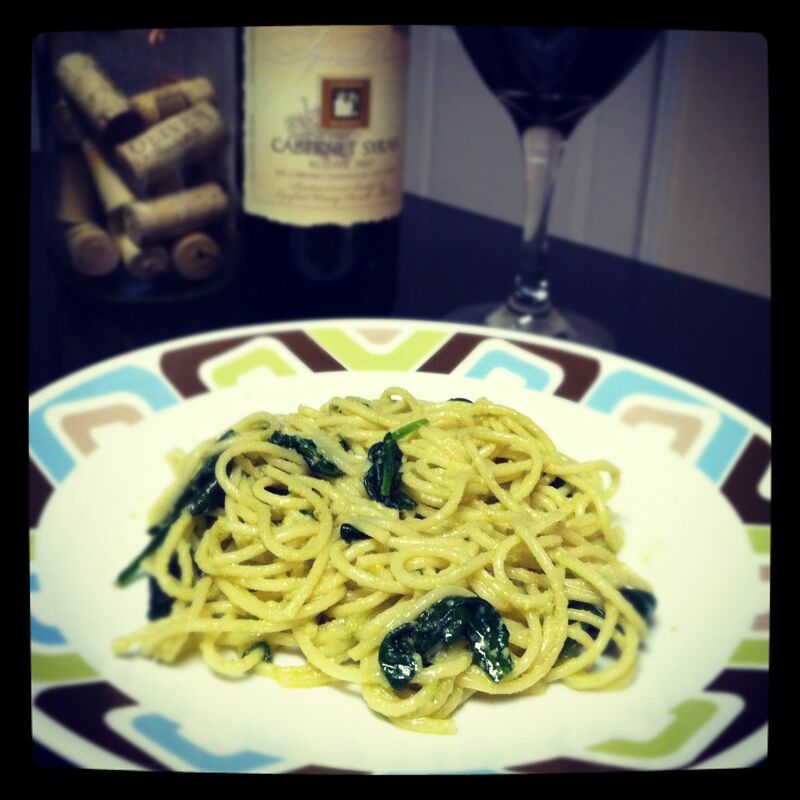 Mix the spinach with your pesto pasta and enjoy! I paired this dish with a glass of Cabernet Syrah wine. 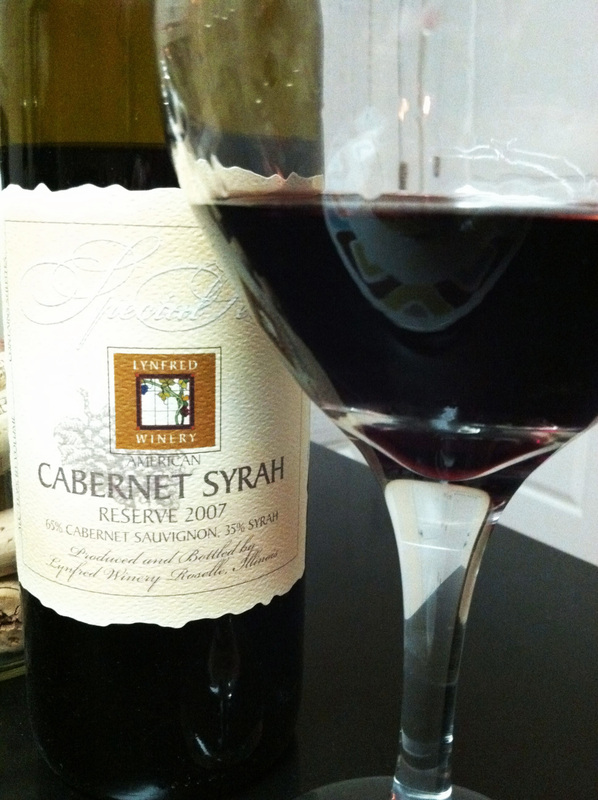 It is a spicy, more intense wine that complements the mild, savory nature of the pesto without overwhelming the flavor. I would also say that an Italian wine, such as a Montepulciano D’Abruzzo would taste wonderful with this dish.